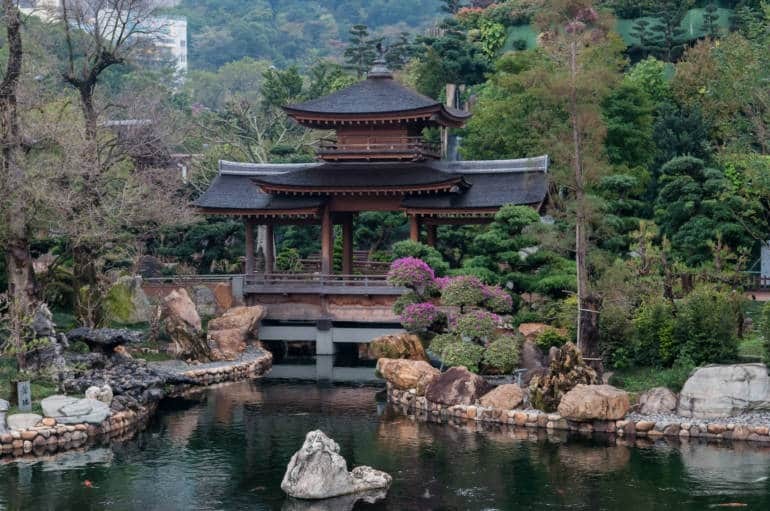 Hong Kong’s crowds can get overwhelming, so if you need a break, find yourself a bit of zen at the lovely Chi Lin Nunnery and Nan Lian Garden. Located in the Diamond Hill area of Kowloon, it is easily accessed from Diamond Hill MTR Station, which is about a five-minute walk away. 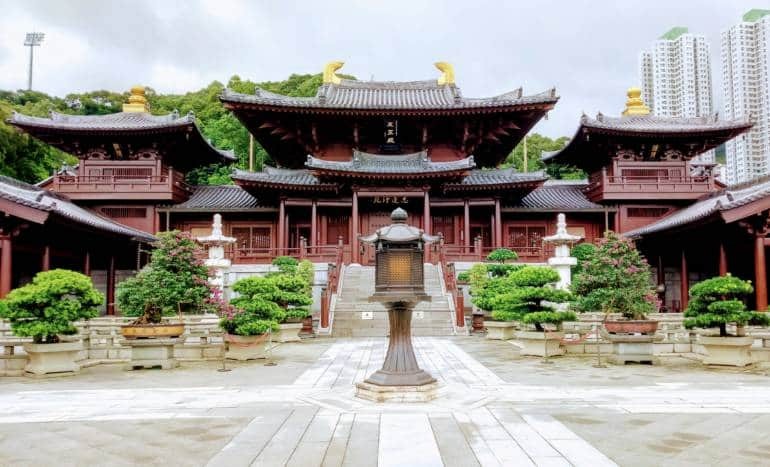 The nunnery has been a retreat for Buddhist nuns since the 1930s, but in the 1990s the halls were rebuilt using traditional Tang Dynasty architecture. But there’s one unique feature—the wooden halls were built without using a single nail. Instead, the cypress wooden beams all interlock perfectly, making it the world’s largest ‘handmade’ wooden building, and the only one of its kind in Hong Kong. It’s a tranquil walk around the compound, through a series of large gates, with the first courtyard leading you to the beautiful Lotus Pond Garden, with manicured bonsai trees, intricate carvings, and stone lion heads, spurting out water in the fountain. The second courtyard takes you to the very impressive Hall of Celestial Kings. Be aware that you can look inside the prayer halls, but photography is not allowed. As this is a place of worship, visitors should dress appropriately. The courtyards, which are open for free to the public daily from 9:00 am to 4:30 pm, are all meticulously maintained, with every rock, bonsai, fountain and statue specifically placed to achieve harmony with nature. You can sometimes catch a glimpse of the some of the nuns who live there, going about their duties. Thankfully, despite its beauty, the nunnery and the adjacent gardens are rarely crowded. 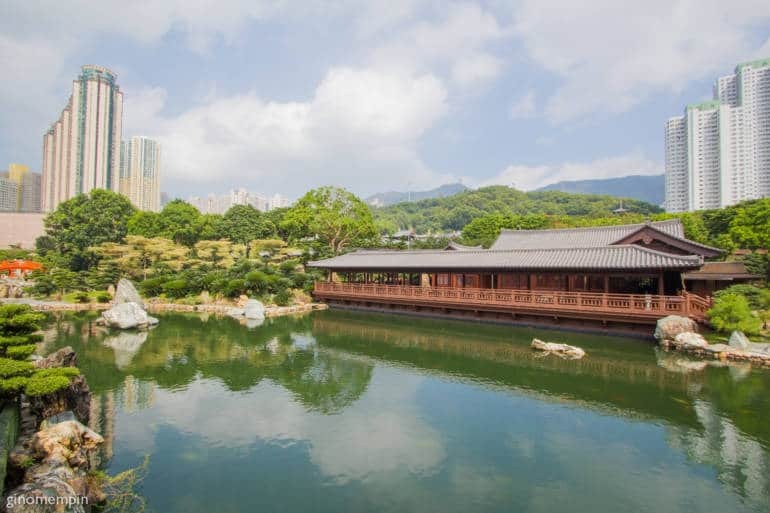 Chi Lin Nunnery is connected by a pedestrian footbridge to Nan Lian Gardens, where a one-way walking path takes you through ornate gates that circle a pond, in the middle of which is a red bridge, leading to the Pavilion of Absolute Perfection. 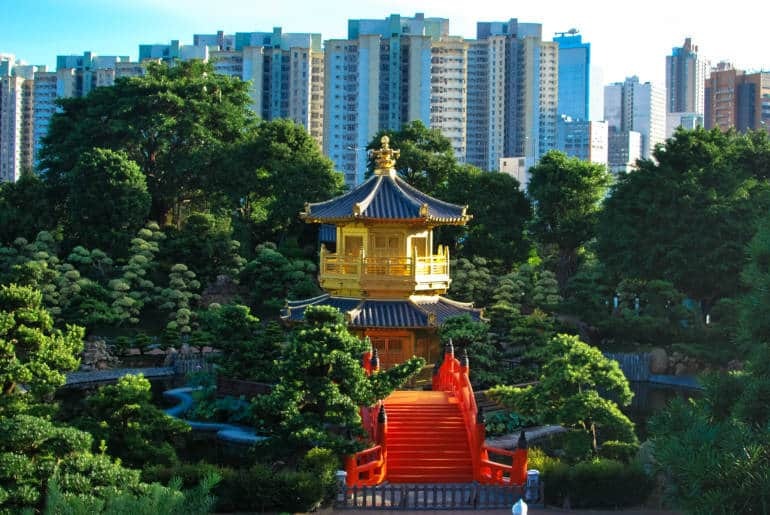 This is without a doubt the most photographic spot, and one full of contrast, with the golden pavilion shining in the sun, framed by Hong Kong’s ubiquitous dull high rises, and lush green mountains. Within Nan Lian Gardens you can sample some Chinese tea at the Song Cha Xia tea house, while sitting on the lovely verandah overlooking the ponds. But even better is the vegetarian restaurant Long Men Lou, discreetly tucked away behind the waterfall, which serves lunch, afternoon tea, and dinner.